In contrast to the archtop guitar, the flattop has just that, a top that's flat. The flat top steel string guitar is the most ubiquitous popular (non-classical) style guitar. Classical guitars have flat tops as well, but are never called "flattop" because there are no archtop classicals. 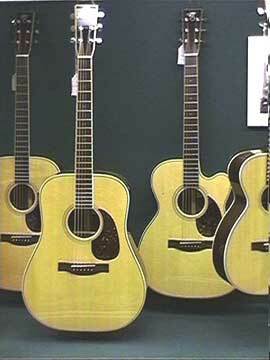 Nashville types frequently use the vernacular "flattop" to mean " flat top guitar" or folk style guitar. They're the same fellows who use terms like "D-box" to refer to the dreadnought style guitar, or "bone" to mean herringbone trimmed prewar Martin D-28. "C'mon, boy, pick that ol' flattop!"